2019 Land Rover Discovery Sport SE Price Displayed Includes Financial Lender Incentive, Trade-In Incentive, and other applicable rebates. See dealer for details. Buyers outside the Omaha metro area may be subject to a $385 Out of State Security and Compliance Fee. 2019 Land Rover Discovery Sport SE 3rd Row Package, 3rd Row Ventilation, Audio Upgrade Package, Black Design Package, Climate Comfort Package, Front Fog Lamps, Gloss Black, Heated Front & Rear Seats, Heated Steering Wheel, Heated Windshield, Radio: Meridian Audio System w/11 Speakers, SiriusXM Satellite & HD Radio, Vision Assist Package, Xenon Headlamps w/LED Signature DRLs. Price Displayed Includes Financial Lender Incentive, Trade-In Incentive, and other applicable rebates. See dealer for details. Buyers outside the Omaha metro area may be subject to a $385 Out of State Security and Compliance Fee. 2019 Land Rover Discovery Sport SE 18" Black Design Package w/Black Contrast Roof, 3rd Row Package, 3rd Row Ventilation, Audio Upgrade Package, Black Contrast Roof, Climate Comfort Package, Gloss Black, Heated Front & Rear Seats, Heated Steering Wheel, Heated Windshield, Radio: Meridian Audio System w/11 Speakers, SiriusXM Satellite & HD Radio, Wheels: 18" Gloss Black Finish (Style 511). Price Displayed Includes Financial Lender Incentive, Trade-In Incentive, and other applicable rebates. See dealer for details. Buyers outside the Omaha metro area may be subject to a $385 Out of State Security and Compliance Fee. 2019 Land Rover Discovery Sport This DEMO Special is Priced to Move! Price Displayed Includes Financial Lender Incentive, Trade-In Incentive, and other applicable rebates. See dealer for details. Buyers outside the Omaha metro area may be subject to a $385 Out of State Security and Compliance Fee. 2019 Land Rover Discovery Sport Price Displayed Includes Financial Lender Incentive, Trade-In Incentive, and other applicable rebates. See dealer for details. Buyers outside the Omaha metro area may be subject to a $385 Out of State Security and Compliance Fee. 2018 Land Rover Discovery Sport HSE Adaptive Xenon Headlamps w/LED Signature DRLs, Auto High Beam Assist (AHBA), Automatic Emergency Braking (AEB), Blind Spot Monitor w/Closing Vehicle Sensing, Climate Comfort Package, Driver Assist Plus Package (InControl Touch), Exterior Parking Camera Rear, Front dual zone A/C, Head-Up Display, Head-Up Display & Park Assist Package, Heated Steering Wheel, Heated Windshield, Heated/Cooled Front & Heated Rear Seats, High intensity discharge headlights: Bi-Xenon, Lane Keep Assist w/Driver Condition Monitor, Memory seat, Navigation System, Navigation System (Touch), Parallel & Perpendicular Park Assist, Power driver seat, Power Liftgate, Power passenger seat, Radio: Meridian Audio System w/17 Speakers, Remote keyless entry, SiriusXM Satellite & HD Radio, Steering wheel mounted audio controls, Surround Camera System, Traffic Sign Recognition, Vision Assist Package. Awards: * ALG Residual Value Awards Price Displayed Includes Financial Lender Incentive, Trade-In Incentive, and other applicable rebates. See dealer for details. Buyers outside the Omaha metro area may be subject to a $385 Out of State Security and Compliance Fee. 2019 Land Rover Discovery Sport HSE This DEMO Special is Priced to Move! Price Displayed Includes Financial Lender Incentive, Trade-In Incentive, and other applicable rebates. See dealer for details. Buyers outside the Omaha metro area may be subject to a $385 Out of State Security and Compliance Fee. 2018 Land Rover Discovery Sport HSE Luxury Adaptive Xenon Headlamps w/LED Signature DRLs, Blind Spot Monitor w/Closing Vehicle Sensing, Chrome Exhaust Finisher, Climate Comfort Package, Driver Assist Plus Package (InControl Touch), Dynamic Carpet Mats, Dynamic Design Package, Exterior Parking Camera Rear, Front dual zone A/C, Fully automatic headlights, Head-Up Display & Park Assist Package, Heated Steering Wheel, Heated/Cooled Front & Heated Rear Seats, High intensity discharge headlights: Bi-Xenon, Lane Keep Assist w/Driver Condition Monitor, Memory seat, Narvik Black Front Grille Bars & Surround, Narvik Black Mirror Caps, Navigation System, Parallel & Perpendicular Park Assist, Power driver seat, Power passenger seat, Radio: Meridian Audio System w/17 Speakers, Remote keyless entry, Silver Sports Pedals, SiriusXM Satellite & HD Radio, Steering wheel mounted audio controls, Surround Camera System, Traffic Sign Recognition, Vision Assist Package, Wheels: 20" 5 Split Spoke w/Gloss Black Finish, Windsor Leather Seat Trim w/Contrast Micro-Piping. Awards: * ALG Residual Value Awards Price Displayed Includes Financial Lender Incentive, Trade-In Incentive, and other applicable rebates. See dealer for details. Buyers outside the Omaha metro area may be subject to a $385 Out of State Security and Compliance Fee. 2018 Land Rover Discovery Sport HSE Luxury Adaptive Xenon Headlamps w/LED Signature DRLs, Auto High Beam Assist (AHBA), Blind Spot Monitor w/Closing Vehicle Sensing, Climate Comfort Package, Exterior Parking Camera Rear, Front dual zone A/C, Fully automatic headlights, Heated Steering Wheel, Heated Windshield, Heated/Cooled Front & Heated Rear Seats, High intensity discharge headlights: Bi-Xenon, Memory seat, Navigation System, Navigation System (Touch), Power driver seat, Power passenger seat, Radio: 250W Meridian Audio System w/11 Speakers, Remote keyless entry, SiriusXM Satellite & HD Radio, Steering wheel mounted audio controls, Surround Camera System, Vision Assist Package. Awards: * ALG Residual Value Awards Price Displayed Includes Financial Lender Incentive, Trade-In Incentive, and other applicable rebates. See dealer for details. Buyers outside the Omaha metro area may be subject to a $385 Out of State Security and Compliance Fee. 2019 Land Rover Discovery Sport HSE 20" Wheels, Auto-dimming Rear-View mirror, Radio: Meridian Audio System w/17 Speakers, Remote keyless entry, SiriusXM Satellite & HD Radio, Surround Camera System. Price Displayed Includes Financial Lender Incentive, Trade-In Incentive, and other applicable rebates. See dealer for details. Buyers outside the Omaha metro area may be subject to a $385 Out of State Security and Compliance Fee. New vehicle pricing includes all offers and incentives. Tax, Title and Tags not included in vehicle prices shown and must be paid by the purchaser. While great effort is made to ensure the accuracy of the information on this site, errors do occur so please verify information with a customer service rep. This is easily done by calling us at (402) 337-5025 or by visiting us at the dealership. 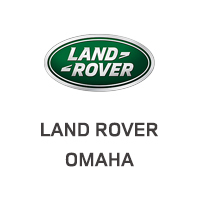 Land Rover Omaha	41.265948, -96.0751417.